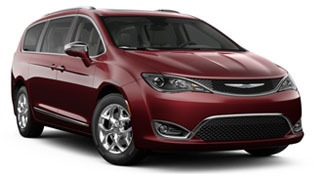 With the Trailer Tow Group, Town & Country can tow up to 3,600 pounds. Standard Trailer Sway Control recognizes when unique vehicle and/or trailer motion is occurring that isn't caused by steering input. 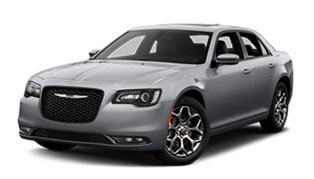 The system then applies brake pressure on alternating wheels and may adjust engine throttle to help eliminate the sway and maintain the vehicle and trailer system stability. 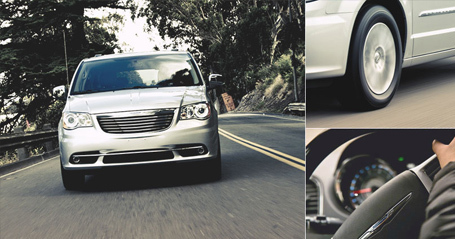 Electronic Stability Control (ESC), standard on all Chrysler Town & Country models, monitors your steering input and vehicle motion. 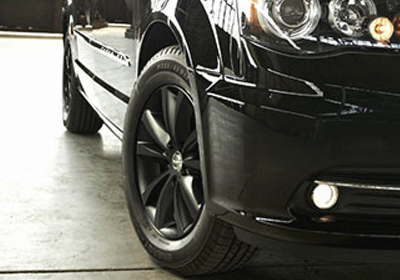 Upon sensing a difference between your intended steered path and the vehicle’s actual path, ESC applies selective braking and throttle control (if necessary) to help guide the vehicle back onto its intended steered course. 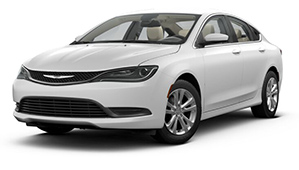 The 3.6L Pentastar® V6 engine delivers Best-in-Class 283 horsepower and 260 lb-ft of torque with fuel economy ratings of 17 city / 25 highway mpg+. 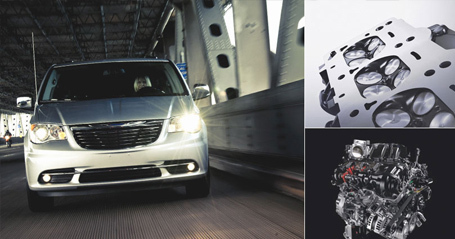 The Chrysler Town & Country is the only minivan in its class to offer a third-row seat with a tailgate position that folds directly into the floor. With the push of a button in-cabin or on the key fob, the exclusive standard dual power sliding doors and power liftgate open effortlessly. Carry up to 150 pounds of cargo with the available Stow N Place® Roof Rack System. 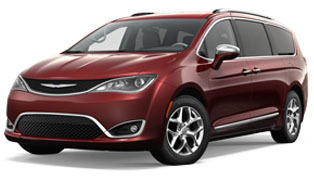 When not in use you can fold the crossbars down into the side rails, which makes the Chrysler Town & Country more aerodynamic and decreases wind noise. 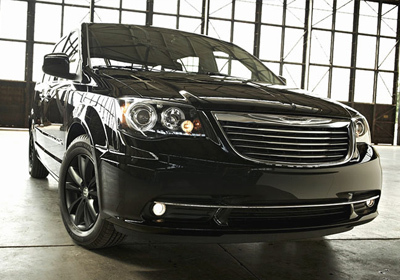 The distinctive exterior of the Chrysler Town & Country begins with a dramatic front fascia and hood line. The liftgate, taillamps, classically styled rear fascia and rear spoiler all combine for an elegant appearance. 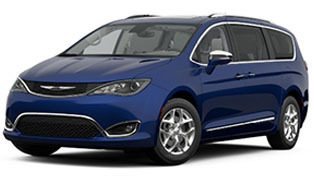 From the distinguished first impression of the signature Chrysler grille to the subtlety of the eye-catching chrome accents, the Town & Country will be sure to turn more than corners. 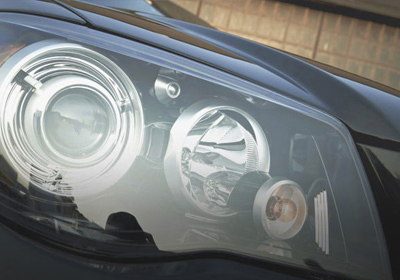 The available Automatic High-Beam Control Headlamp System adjusts high beams automatically to help reduce glare for oncoming drivers and eliminate the need for you to switch your bright beams off and on. 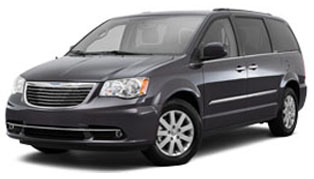 All Chrysler Town & Country models offer stylish and comfortable leather-trimmed seating. 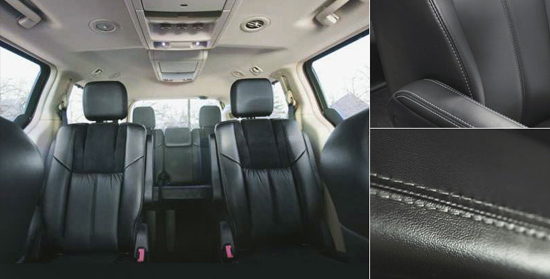 Individual bucket seats in the second row allow for legendary Stow ’n Go® Seating and Storage that includes fold-in-the-floor second- and third-row seats with in-floor storage bins. 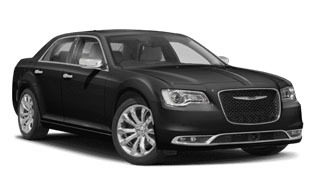 The standard 60/40 split-bench third-row seat provides plenty of flexibility for passengers and cargo. 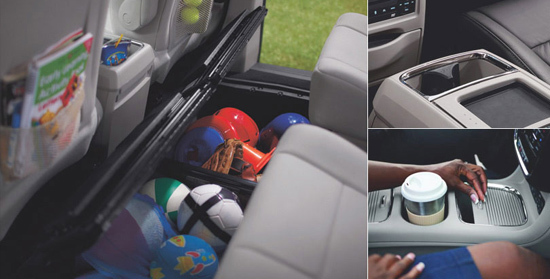 It can be folded into the floor or tumbled to face rearward as a Tailgate Option. 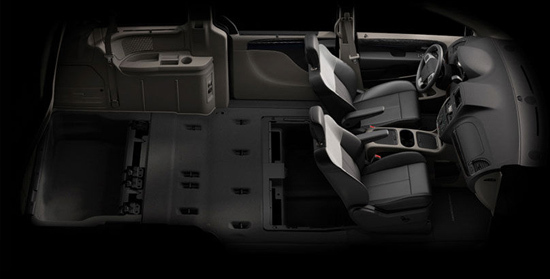 One touch is all it takes to operate the seat’s power recline feature or to fold it into the floor completely. The available class-exclusive super console provides storage with two power outlets—perfect for mobile phones and digital audio devices, all within easy reach of the driver. Front cup holders can hold up to a one-liter bottle. The rear cup holders can be loaded from the first row and then slid back to the second row. Finally, there are two overhead, covered, secure storage compartments for added convenience. 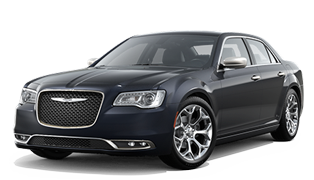 Enjoy a myriad of features including an available French-stitched leather-wrapped steering wheel with real wood trim (heated for a warm grip with the touch of a button), a conversation mirror and an integrated flashlight, as well as storage systems for your umbrella and grocery bags. Supplemental side-curtain airbags extend protection to all outboard passengers. 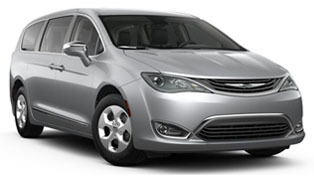 Advanced multistage front airbags regulate the amount of force necessary for the front occupants by impact severity. 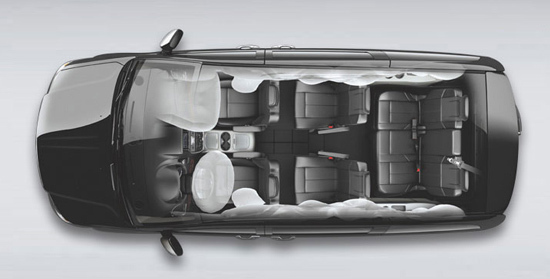 Seat-mounted side airbags are integrated into the front seats to offer additional pelvic and thoracic protection. 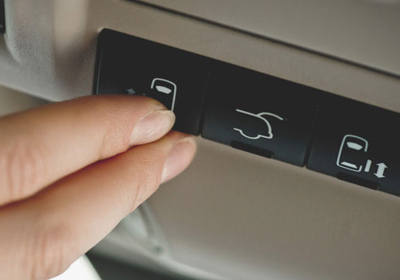 A driver's knee blocker airbag deploys when the driver's airbag deploys, helping the driver avoid sliding under the instrument panel in the event of a collision. 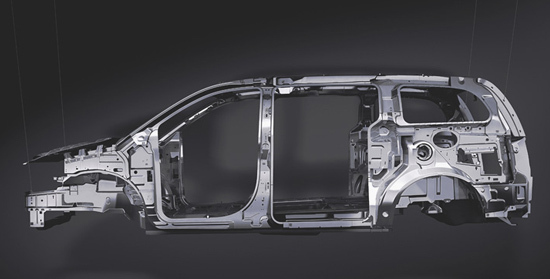 In the event of an impact, specifically designed front and rear crush zones absorb energy and redirect it away from passengers, helping to reduce the risk of injury. 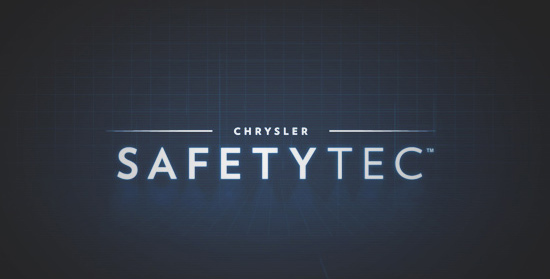 The available SafetyTec™ Package bundles an array of safety features. 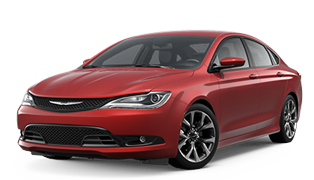 Blind Spot Monitoring, Rear Cross Path Detection, Rain-Sensitive Windshield Wipers and ParkSense® Rear Park Assist are just a handful of the features offered. We call it SafetyTec™. You’ll call it peace of mind.